Our unique, award-winning approach blends compassionate care with research-based methods to treat both substance abuse and the underlying emotional or mental health disorders which can often be the catalyst for addictive behaviors. We focus on healing the whole person: mind, body and spirit. Our comprehensive care methods set clients up for long-term success in recovery. 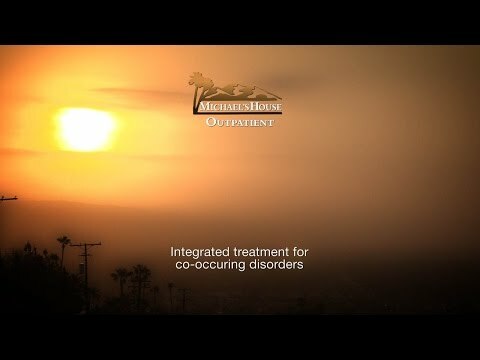 Located in the beautiful San Jacinto Mountains in Palm Springs, California, Michael’s House Outpatient Center provides a unique refuge of healing for individuals seeking recovery in a modern, non-residential setting. Michael’s House Outpatient Center follows a continuum model that supports patients in their transition from residential treatment to everyday life through ongoing support and education. Our multidisciplinary team provides support, structure, structure and hope for recovery from co-occurring addiction and mental health disorders. Every patient receives an individually-tailored program to meet his or her unique needs through group and individual therapy as well as life skills classes integrated with 12-Step principles. We also provide weekly medical evaluations with a staff doctor as needed to adjust medications or deal with any issues that arise. This is in addition to our nurse, who is on site twice a week to meet with patients. Our outpatient program features three levels that build on the levels system used in our residential program. Patients begin with three hours of education per day, focusing on developing a schedule for a life of sobriety, increasing their recovery skill sets, continuing in group therapy, and gaining valuable relapse prevention awareness. We currently offer an Intensive Outpatient Program, which runs from 8:30 to 11:30 am, Monday through Friday. The program provides a morning check-in and meditation group, which includes goal-setting for the day, psychoeducational group learning, based on a variety of rotating topics, and process groups, facilitated by a master’s-level licensed therapist. In addition to the daily group therapy sessions, each patient is offered one individual session per week during this critical transitional period. From there, patients may step down to a shortened weekly schedule, which is then followed by successful discharge to our free aftercare program, with a focus on alumni support. We also support the healing of the whole family through our Family Program, which is held three weekends per month from Friday through Sunday. This program is open to all active Michael’s House patients and alumni. In addition, the family system is addressed in individual therapy sessions, and family conferences, facilitated by the therapists, are often held. Our multidisciplinary team provides support, structure, and hope for recovery from co-occurring addiction and mental health disorders. Every patient receives an individually-tailored program to meet his or her unique needs through group and individual therapy as well as life skills classes integrated with 12-Step principles. We also provide weekly medical evaluations with a staff doctor as needed to adjust medications or deal with any issues that arise. This is in addition to our nurse, who is on-site twice a week to meet with patients. Psychiatric and medical follow-up are an integral part of our outpatient program as well, creating a well-rounded experience that meets a wide range of needs. Assessments are available to evaluate the right level of treatment at the appropriate time for each potential patient. Our Outpatient Center has a dedicated case manager to address all aspects of discharge and assist each patient in creating a comprehensive continuing care plan before they leave. Most of the individuals in our program reside in one of several sober living homes in the area, although some locals may opt to live at home. We do not operate our own sober living facility, allowing us to provide unbiased recommendations regarding the various options in our region. When enrolled at Michael’s House Outpatient Center, you can enjoy freedom from the disruption and stress of day-to-day life demands with the additional support and expert guidance of our professional staff through every step of recovery. Michael’s House Outpatient Center is part of Foundations Recovery Network and provides an award-winning model of treatment, which has been extensively tested and proven through multiple federally-funded research studies. We combine evidence-based addiction treatment with innovative therapies for emotional and mental health to effectively address co-occurring disorders. Results demonstrate double the national average success rate for maintaining sobriety one year post-treatment as compared to traditional programs. We accept most insurance plans, and our self-pay arrangements are very affordable. We invite you to speak with an admissions counselor for verification of insurance coverage and to learn more about how we can help you or your loved one experience true and lasting recovery. Our staff is specially trained in the Foundations Recovery Network treatment model to address the complex needs of individuals with co-occurring disorders and to treat the whole person in a comprehensive way.